What are the functions of a controller? Is this correct? Are there any others? Is it possible to get a dual voltage controller, i.e. has a switch so that you can use 24 volts and then switch to 36 volts in the need arises? ‹ Help! Controller debug sequence? Re: What are the functions of a controller? Your asking some very good questions. I'm sure many people what to know the same thing, but are very reluctant to ask. After all we also never ask for directions either, we just drive around until we find it. I had a nice response worked out, but the computer ate it. of power in proportion to throttle position. motorcycle or scooter, it's a a waste of money. Can you explain exactly what happen and the approximate time & your time zone? They are mainly something that holds the smoke in. If the controller lets the smoke out you are in trouble because you will have to push your ride home. The controller is akin to a carburater on a car. 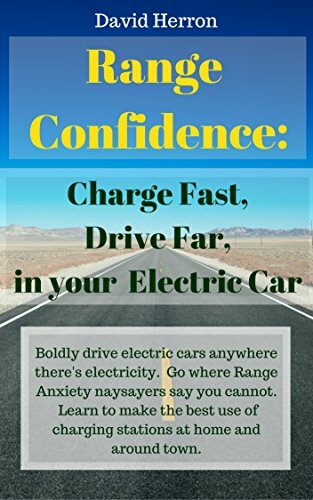 A car has a throttle pedal, an electric vehicle has a potentiometer. The throttle tells the carburater how much power to give the motor, the potentiometer tells the controller how much power to give the electric motor. Now, the controller, unlike a carburater, can also tell the electric motor which way to spin. In other words, run backwards. And, the controller can make the motor a generator to recharge the fuel tank, the batteries. There are a few types of controllers PWM and VFD and of course resistive controllers. Some of the PWM controllers have an input range so you can take out dead or blown batteries. Like for instance a range of 24 to 48 volts. The AC drives are usually preset for other parameters like low voltage cut off or cut out. They also can do other magical stuff like regen and inverter technology for braking and putting energy back into pack voltage. For the three wire VFD or brushless DC controller if you try to squish in an extra battery it might just go into cut off till voltage gets below preset safe level. I did that before on my red scooter till like echuckj5 said it let the smoke out. I used to turn on head lights for a few minutes to get a volt or two lower so it would start. But in answer to your question on regulate the SPEED, well it has to be designed into Pulse Width Modulation or Variable Frequency Drive or what tevah, "Bawston accent" the parameters are in the specific controller. Heck in this economy it is a good idea to learn via lettering smoke out of unit and figuring out watt cha did wrong. Some PWM controllers like Curtis and Alltrax can do two inputs like Inductive and resistive so if an inductor goes south you can shove in a potentiometer in and go like fixing an old car with points vs Electronic ignition where you can sand crud off points not transistors. I lost my inductor "slug" on my Curtis and went into junk box in my truck and got a volume control and got home. My 48 volt scooter was 48 volt and 60 volts with no real difference in speed or performance. So I left it 60 volt till controller finally died and it is now only 60 volt pack and controller is programmed for low battery cut off and high voltage cut off. So programming is critical there. Pengyou, do you need some battery management system? I see you are building ebikes,should be an expert at battery assembly, hope we can have chance to do cooperation, www.wisementech.com .